Have I got a treat for you today. Actually, I have a trio of treats if you've been following my posts and YouTube Channel! 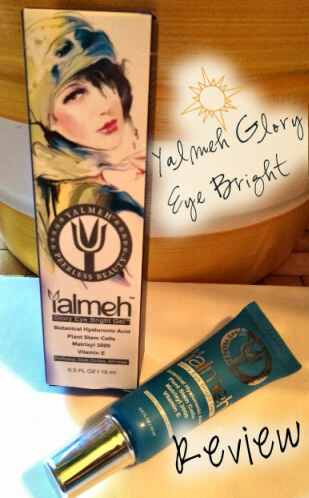 It's all about Yalmeh Beauty this week and right now I'll be reviewing the Yalmeh Glory Eye Bright Gel. This entry was posted in Beauty, Product Reviews and tagged amazon beauty reviews, Beauty, beauty blog, buy yalmeh products, Canadian Blogger, Canadian PR Friendly Blogger, Canadian Review Blogger, follow blog, glory eye bright cream, glory eye bright gel, Hire a Blogger, PR Friendly, PR Friendly Blog, PR Friendly Blogger, PRFriendly, Product Review Blogger, Review Blogger, subscribe on youtube, subscribe youtube beauty reviews, Video Review, Yalmeh, yalmeh eye bright, yalmeh glory eye bright review, yalmeh product reviews, yalmeh youtube reviews, youtube beauty, youtube reviews yalmeh.